Fashion college student sporting a resale retro fashion style with ruffle blouse, printed skirt, psychedelic boots, embroidered backpack and a floppy hat. 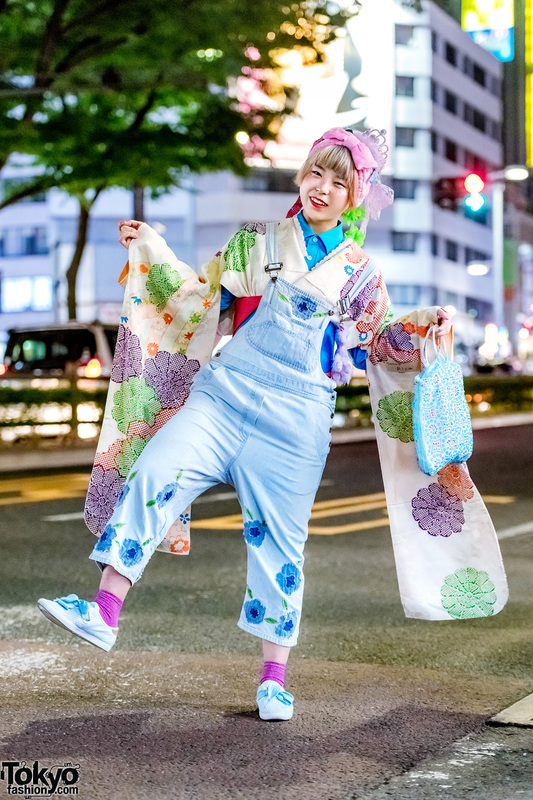 Harajuku girl sporting an eye-catching floral print street style while out and about on the street one early evening. Japanese teen girls sporting colorful streetwear outfits while having fun on the street in Harajuku. Harajuku student sporting a striped shirt, denim jumper dress, white sneakers and an embroidered sling bag bought in India. Harajuku girl in feminine vintage streetwear.